Quiet , Stylish 2 bedroom Apartment , situated in the heart of town. Property 3: Quiet , Stylish 2 bedroom Apartment , situated in the heart of town. 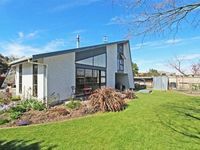 Property 4: Central Motueka Luxury Accommodation. A peaceful home away from home. Three bedroom house with large sunny garden. Property 9: A peaceful home away from home. Three bedroom house with large sunny garden. Spacious property, offering quality accommodation with views of the Fairway. Property 10: Spacious property, offering quality accommodation with views of the Fairway. Property 22: Delightful cottage a perfect couples retreat. Rural paradise studio with solar heated pool. Property 45: Rural paradise studio with solar heated pool. Property 49: Tranquil rural location with mountain views. Free WiFi. 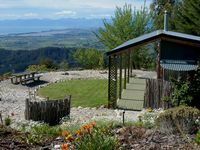 Thank you for a lovely holiday at the Hairy Hobbit - we loved the outdoor bath, the friendly weka, and the amazing views, and our kids really enjoyed staying up in the loft beds. Great host, amazing bach. Thanks so much!